Ann teaches small group adult watercolor classes in her home studio in Merrick, New York to beginner and advanced students. Classes run from 9:30 am until 12:30 pm. on Wednesday mornings. 5 week sessions are $140. New group classes can be formed according to your schedule. Private lessons are also available upon request. Contact Ann to schedule a class. 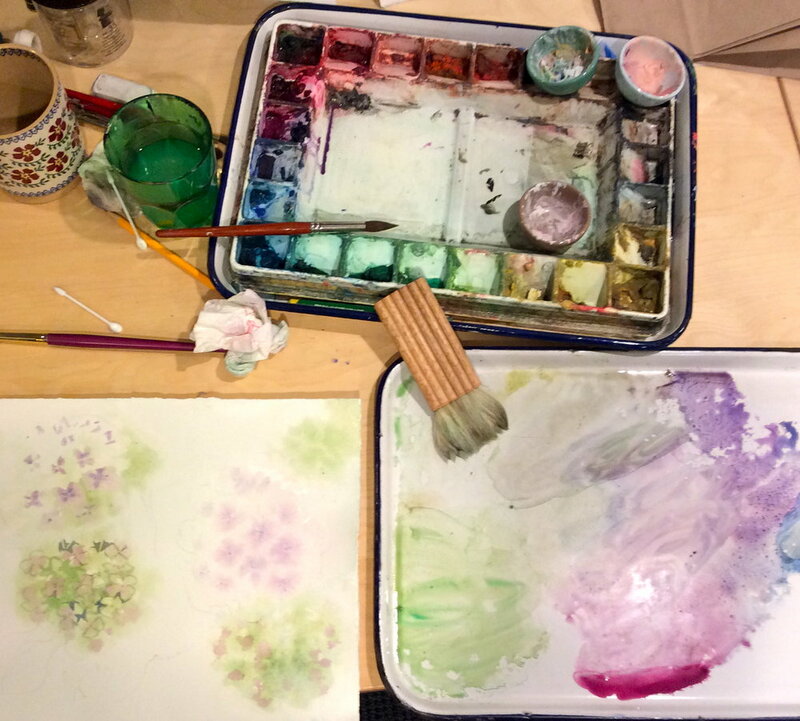 Students will be introduced to basic watercolor skills including wash, drybrush and wet techniques.